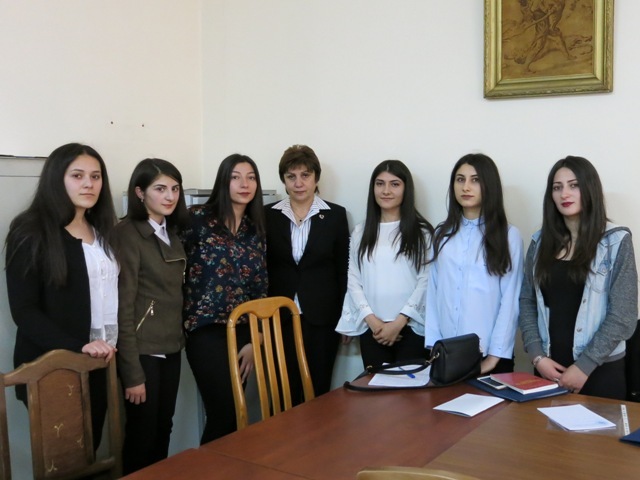 On April 16-20 of 2018 the fifth international scientific conference of YSU Student Scientific Society was held, dedicated to the 100th anniversary of the foundation of the Armenian First Republic. The aim of the conference was to provide students, post-graduate students and scholars with the opportunity to share their academic research results with the academic audience, to improve their professional skills, as well as to establish contacts with young Armenian and foreign researchers. Over 400 representatives of about 50 scientific-educational institutions from more than a dozen countries took part in the conference. 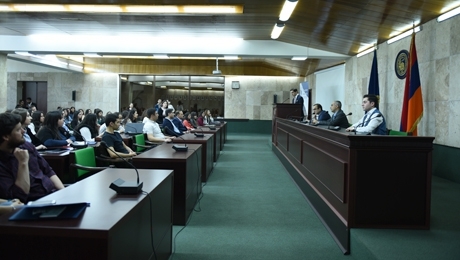 The opening ceremony was attended by YSU Vice-rector on Students, Alumni and Public Relations Ruben Markosyan, YSU SSS Chairman Mher Hakobyan, lecturers, members of the Student Scientific Society (SSS), and participants of the conference. 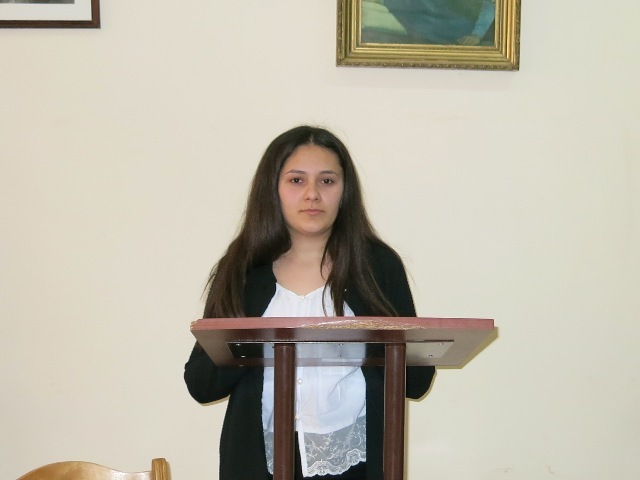 Mher Hakobyan made a welcoming speech. 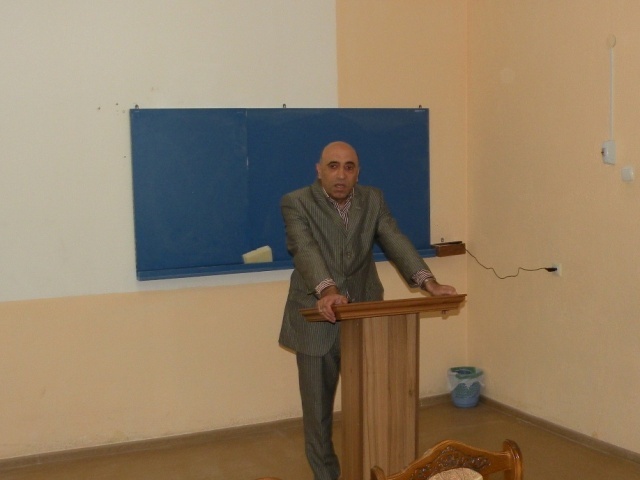 He thanked all the participants for their interest, the whole team of SSS, for their work, for YSU Directorate support. 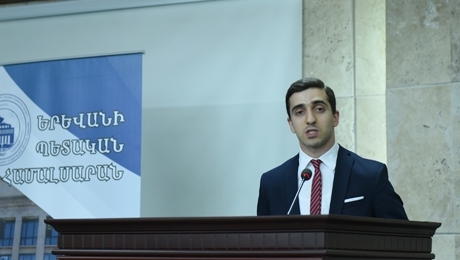 Ruben Markosyan mentioned in his speech that Student scientific Society (SSS) events were distinguished by the high organizational level and thanked the SSS team on behalf of YSU Administration. 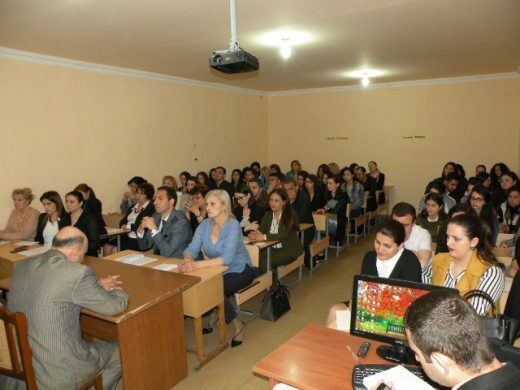 The work of the conference was held at 20 faculties and institutes of YSU, which lasted until April 20. During the closing ceremony, Mher Hakobyan mentioned: “This conference differs from the previous one. We can prove that we have stepped forward and improved our most important event. This conference is one of the most significant scientific events organized in the recent years from the point of view of the number of participants, members of the organizing committee, the support staff, and the number of sections”. The conference was attended by 6 representatives of YSU Ijevan branch. 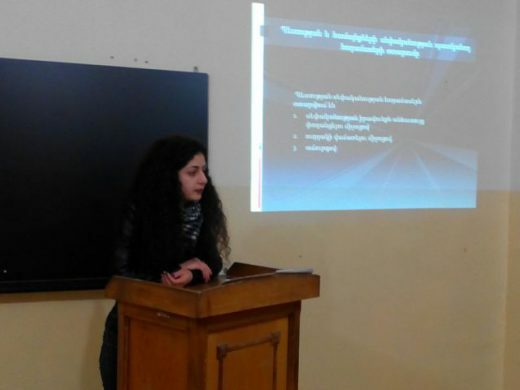 On April 18, Suzanne Shahnazaryan, a third- year student of English Language and Literature, reported on the topic “The Old English Vocabulary and Word-Formation” at the Linguistics Department. 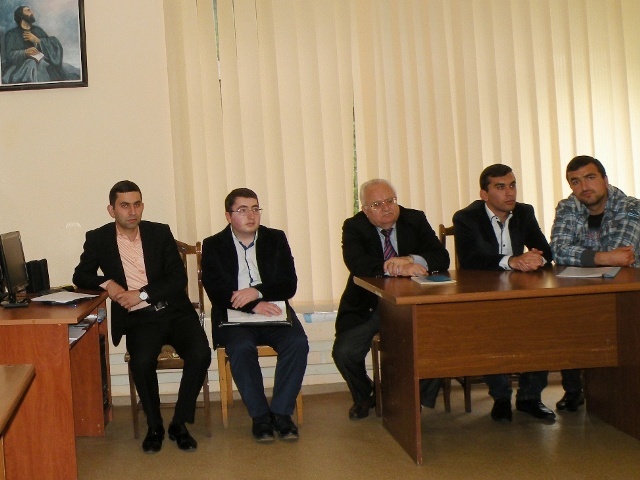 The other representatives took part in the conference on April 19. Hakob S. Davtyan, a fourth-year student of “Cartography and Cadastral Business”, delivered a speech at the Department of Geography and Geology. 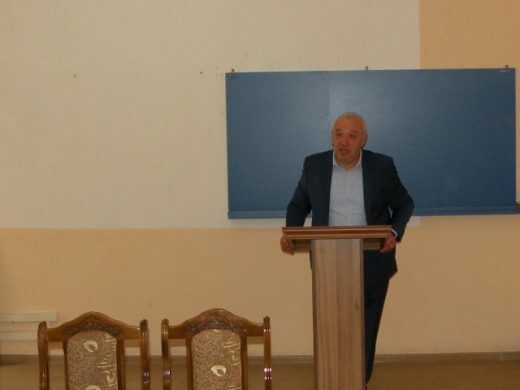 He reported on “Recycling, Recording and Mapping of Tourism Resources in Sevkar Village and Adjacent Areas of Tavush Region”. 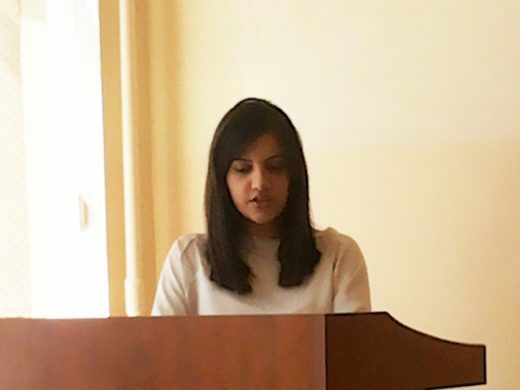 The third- year student of the History Department Irina A. Safaryan presented John Kennedy’s role in the Caribbean crisis. 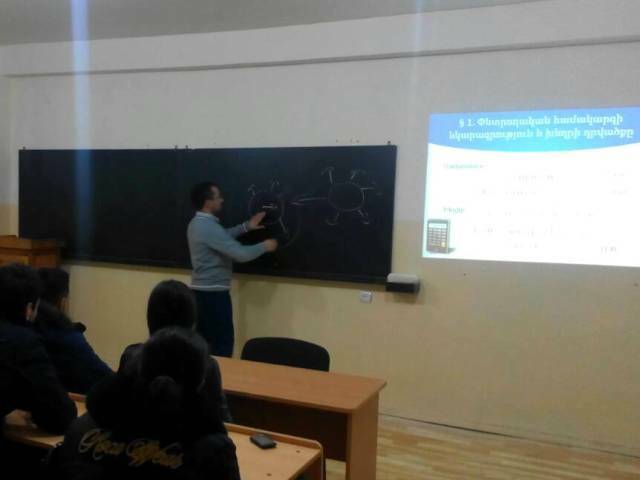 Slavik S. Alaverdyan, lecturer of the Department of General Mathematics and Natural Sciences, delivered a speech at the Pedagogy Department. 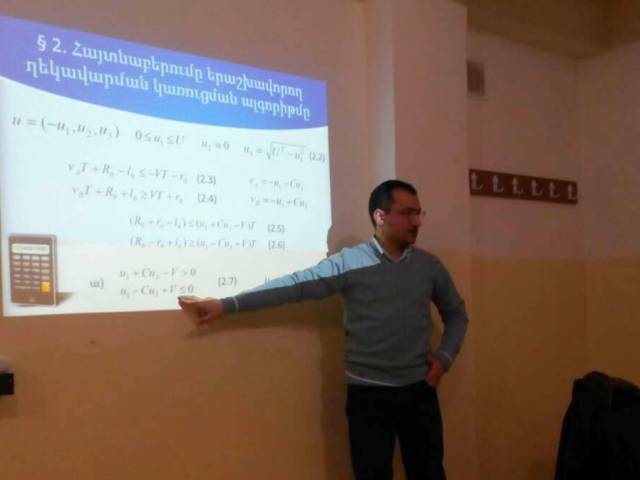 He presented the role of Chess in developing students’ understanding of mathematical concepts. 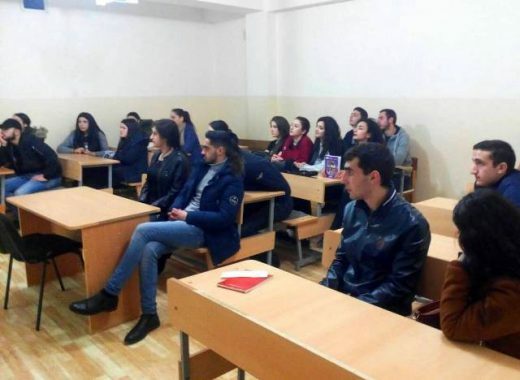 Second- year students of “Armenian Language and Literature” Department Astghik A. Ghazaryan and Roza A. Melkumyan took part in the work of the Department of Armenian and Foreign Literature. Astghik A. Ghazaryan reported on “Mythological and Epic Motives in Khachatur Abovyan’s “Wounds of Armenia” novel. 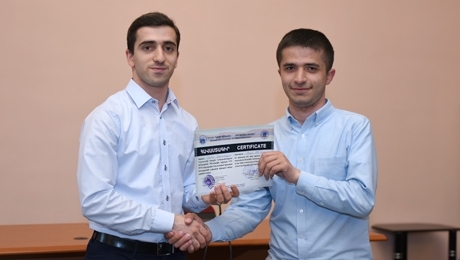 Roza A. Melkumyan reported on the “Detection of the Thunderstorm hero’s Operations in the name of Twin Brothers of Eraund and Eraus “. The presidents and attendants of all departments highly appreciated the quality of the work of the branch representatives and welcomed the participation of the second- year students in the International Conference. 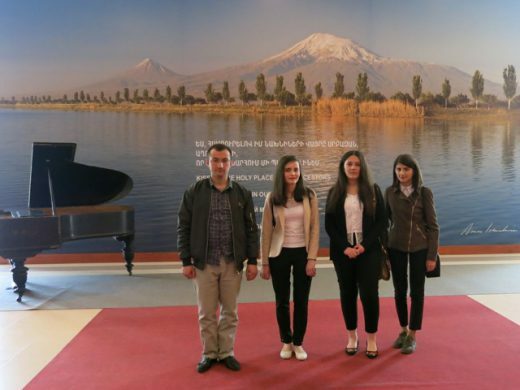 After the conference, YSU IB representatives visited Khachatur Abovyan Museum. 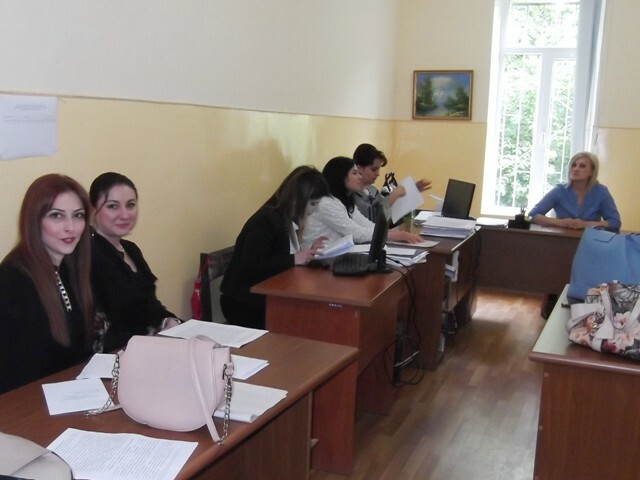 Selected reviewed papers will be published in the scientific journal “YSU SSS Collection of Scientific Artic­les”. The Department of English Language and Literature of the faculty of Humanities organized a seminar on “Colors and Color terms in Linguistics”, conducted by the Head of the Department, Ph.D., Associate Professor K. Harutyunyan, on March 23 of 2018. 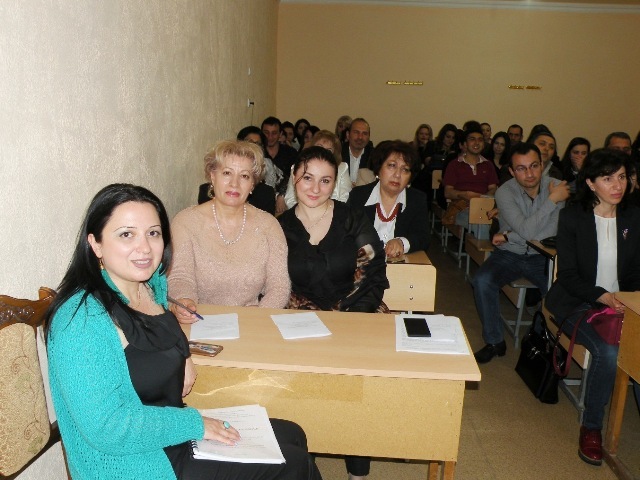 The seminar was attended by YSU IB professorial staff and students. 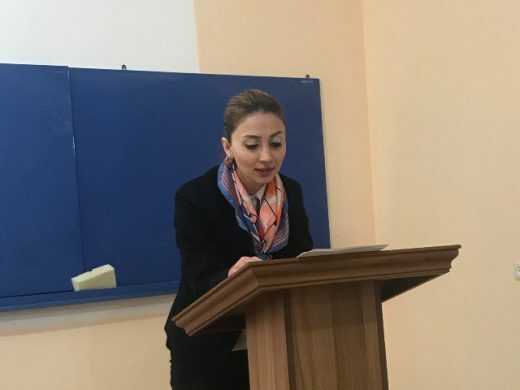 Within the theme, K. Harutyunyan presented colors and color interpretation in modern English and generally in culture, making a historical reference. 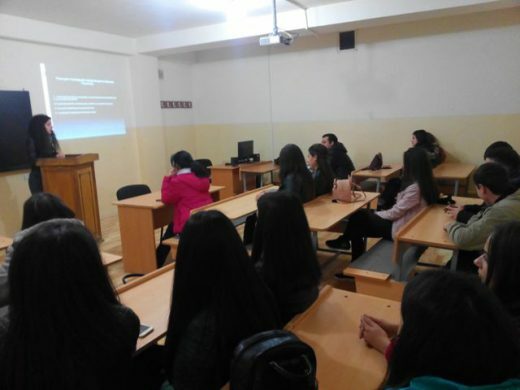 Speaking about color interpretation, the speaker mentioned that although colors were object of investigation of such science-related disciplines as chemistry and physics, color perception was different across cultures and individuals. 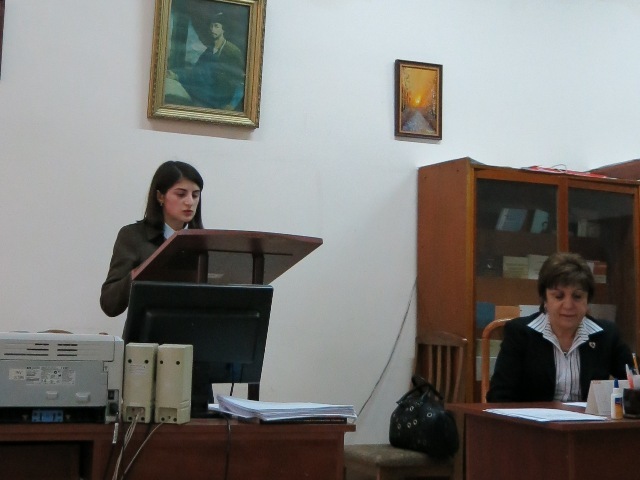 It was emphasized that colors were under investigation of psychology, art, literary criticism, stylistics and so on. 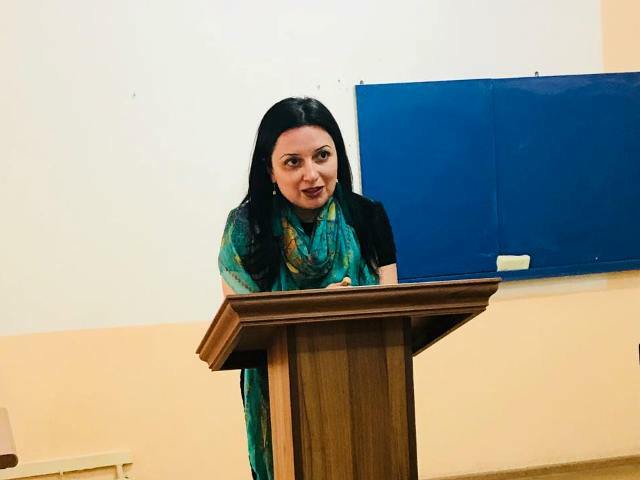 The speaker drew parallels between Armenian, Russian and English, showing the similarities and differences in understanding and differentiation of the same color as the most important source of comparative study of language. 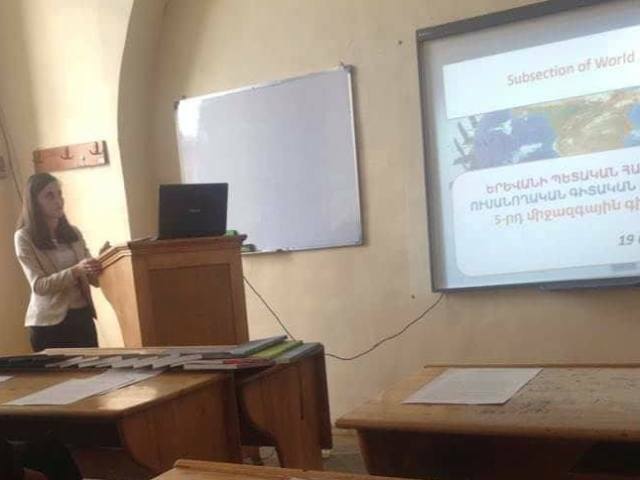 Then, the peculiarities of color perception in idioms of different languages, the color perception of people with different professions were thoroughly presented, bringing about concrete examples. 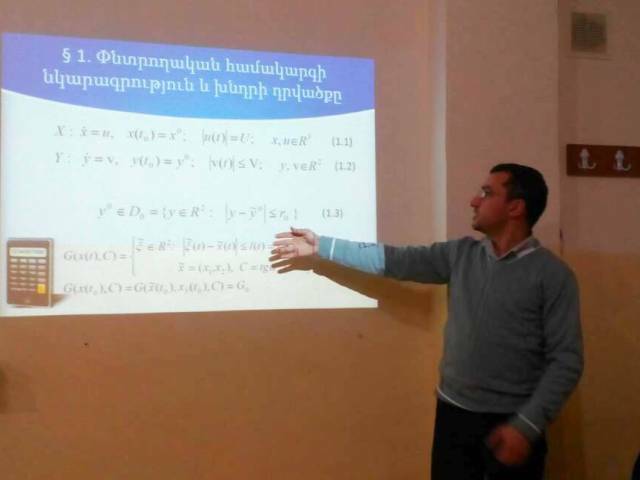 K. Harutyunyan at the same time proved a group of theoreticians’ research that the same color could cause different feelings among different people, and vice versa, different age and gender representatives could have different levels of color perception. 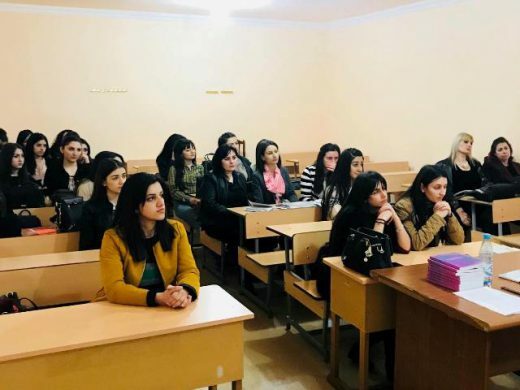 The whole seminar was in an engaging and interactive atmosphere, which once again highlighted the relevance and interest of the topic. 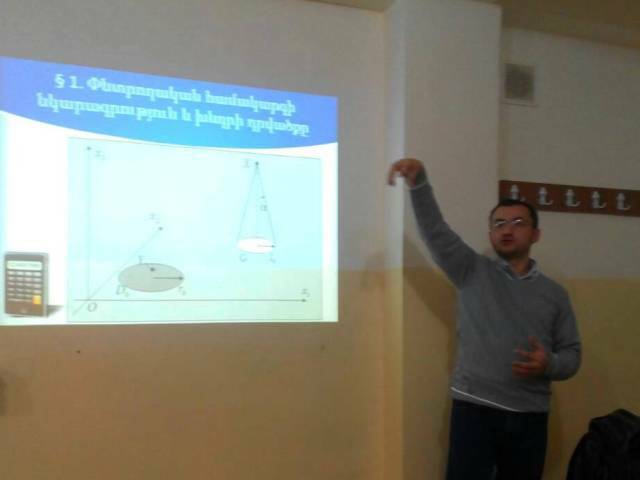 At the end of the seminar, the participants received a book on the same topic written by K. Harutyunyan. On March 9 of 2018, Slavik Alaverdyan, lecturer of YSU IB Faculty of Natural Sciences, Department of General Mathematics and Natural Sciences, presented a report on “The Problem of moving object detection” on the initiative of the Student Scientific Society of the Faculty. 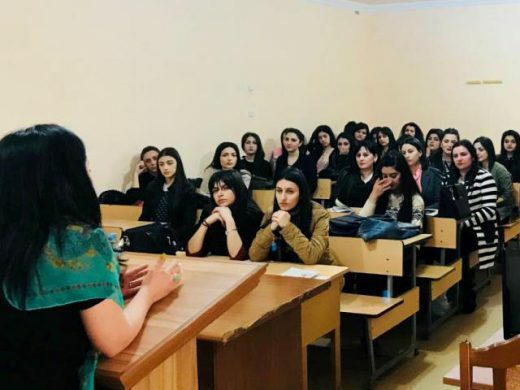 The seminar was attended by three dozen students of the university. Alaverdyan presented the essence of the search problem, the solution algorithm, and the process of solving the problem. It was emphasized that search problems were of great importance in many fields of science and technology (mechanics, cosmonautics, robotics, etc.). Some of the games in the economy and some situations in the sport could be presented as search problems. It was explained that, in general, the search problem was the building of a facility that helped to identify an object by another object. The search and searching objects could have different restrictions, maximum speed, maximum angle of change of speed or maximum number of changes, the ability to move in space or plane, linear dimensions, the size of the accessible (known) range, look and change laws and so on. The problem of finding a moving object driven at speed on the plane was presented, which was implemented by the speed-controlled searcher in space. Diana Nersisyan, second –year student of YSU IB Faculty of Natural Sciences, Department of Cartography and Cadastre, presented a report on “Alienation of Property” on March 6 of 2018. 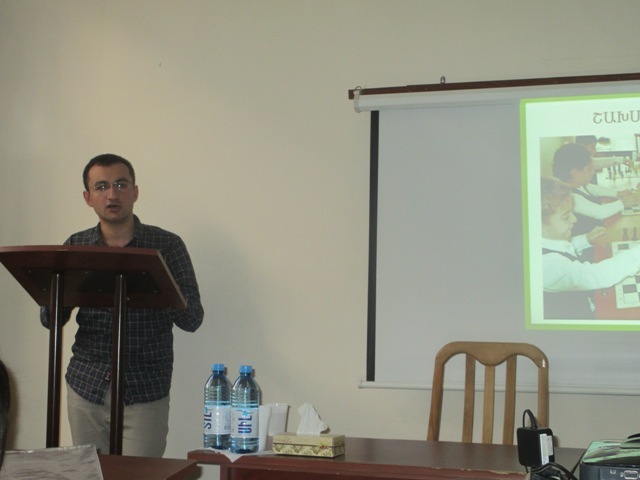 The event was organized by the Student Scientific Society of the Faculty. The event was attended by YSU IB lecturers and students. The main issues were the right of ownership of land for citizens and legal entities, the right of possession, use and disposition of land, in accordance with the restrictions and other conditions prescribed by law. The right of citizens and legal entities to land was defined on the basis of privatization, inheritance, purchase and sale, donation and other land-based transactions and legal facts of state and community lands. It was pointed out that land owning and using two or more entities, respectively the land belonged to them, with common ownership, common use rights. The right of general ownership of a land was defined from the right of two or more entities that could not be divided without the change of its intended purpose or was not subject to division by law. 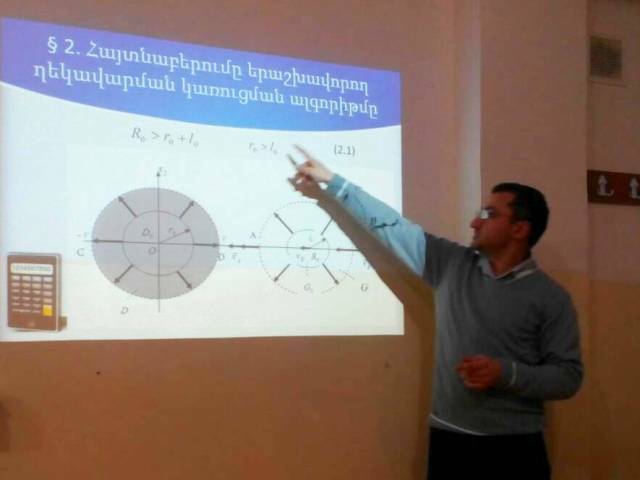 Reconstruction of a building owned by one of the owners did not result in the increase of its share of the land without the agreement of other owner. It was pointed out that the lands which did not belong to citizens, legal entities or communities were state property. The state might purchase land from the communities, citizens and legal entities. Communities were owners of the lands located within the boundaries of the given community, with the exception of lands owned by the state, citizens, legal entities and other property owners. State-owned and community-owned lands were provided for agricultural activities and residential constructions. 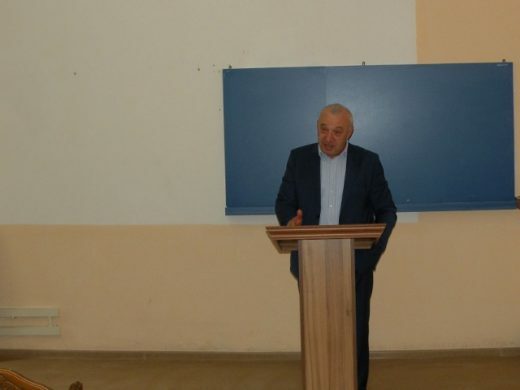 Nersisyan presented that the sale of land owned by the state and communities was made by auction. The starting price of the auction could not be less than 50% of the land cadastre value. The starting price of the auction was defined by the community leader for each community as well as for individual communities, in accordance with the community council. 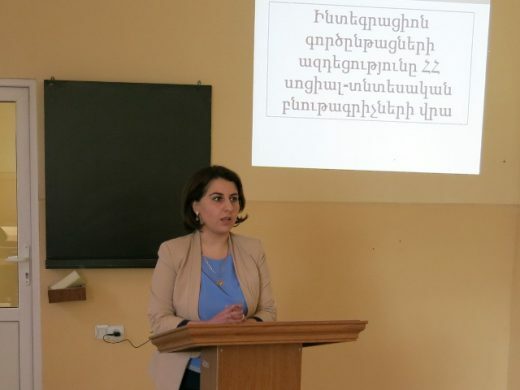 The bordering, mountainous, suburban settlements included in the list defined by the Government of the Republic of Armenia, the starting price of the auction could not be less than 30% of the land cadastre value. 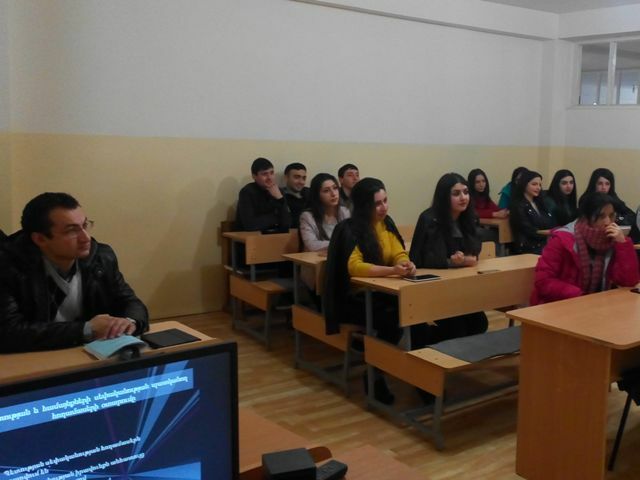 After the presentation, an interesting discussion took place with the participation of lecturers and students. At the end, the Department of Programming and Information Technology, Associate Professor, Ph.D. A. Simonyan delivered a speech, who proposed to students of 2 faculties to cooperate, to study the possibilities of applying their professional knowledge and present reports on them.